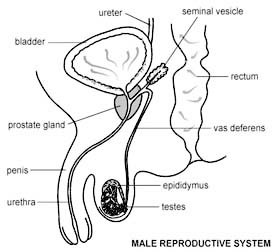 A hydrocele is a pocket of watery liquid that has built up around your testicle. Sometimes this is because the testicle is diseased. More often it is because the liquid cannot drain into the circulation properly. In a child, the cause of the hydrocele, and its treatment, are different. Most patients have a general anaesthetic so that they are asleep during the operation. Sometimes the operation can be done by an injection of local anaesthetic in the back which will numb the area from the waist down. A cut is made into the skin over the hydrocele. The liquid is emptied out. Some of it will be checked for the possible presence of bugs and some of it in order to exclude the presence of cancerous cells. The testicle is examined. If it is all right, the double coverings of the testicle are stitched up to stop the liquid building up again. If the testicle is diseased, it may be necessary to remove it. This will be discussed with you before the operation. Finally, the skin is stitched up. The operation is usually done as a day case. This means that you come into hospital on the day of the operation and go home the same day. You may need to stay in for a day or two, if you are over 50, having trouble passing urine, have other illnesses, or if you cannot manage at home. If you leave things as they are, the hydrocele will slowly get bigger. It will not be certain why there has been a build up of fluid unless you have an operation. The fluid can be drained out using a needle, but it builds up again in a month or two. There is no injection treatment that works well. Stop smoking and get your weight down if you are overweight. (See Healthy Living). If you know that you have problems with your blood pressure, your heart, or your lungs, ask your family doctor to check that these are under control. Check you have a relative or friend who can come with you to the hospital, take you home, and look after you for the first week after the operation. Bring all your tablets and medicines with you to the hospital. On the ward, you may be checked for past illnesses and may have special tests to make sure that you are well prepared and that you can have the operation as safely as possible. Many hospitals now run special preadmission clinics, where you visit for an hour or two, a few weeks or so before the operation for these checks. There may be some discomfort on moving. Painkilling tablets should easily control this discomfort. If not, you can have painkilling injections. By the end of one week the wound should be just about pain-free. A general anaesthetic will make you slow, clumsy and forgetful for about 24 hours. The nurses will help you with everything you need until you are able to do things for yourself. Do not make important decisions, drive a car, use machinery, or even boil a kettle during this time. The wound may be closed with stitches or paper strips, which need to be taken out by the nurses about 7 to 10 days after the operation. Sometimes there are stitches which are under the skin and which eventually melt away and don’t need to be removed. You can wash, bathe, or shower as soon as the stitches or paper strips are taken off. If you only have stitches in the skin try to keep the wound area dry for a week. Soap and tap water are quite all right. Salted water is not needed. It is important that you pass urine and empty your bladder within 6 to 12 hours of the operation. If you have difficulty, ask the nurses. Some hospitals arrange a check-up about one month after you leave hospital, especially if the testis was removed. The results of the examination of the fluid around the testis will also be ready by then. Others leave check-ups to the general practitioner. The nurses will advise about sick notes, certificates etc. At first, discomfort in the wound will prevent you from harming yourself by lifting things that are too heavy. After one month you can lift as much as you used to lift before your operation. There is no value in attempting to speed the recovery of the wound by special exercises before the month is out. You can drive as soon as you can make an emergency stop without discomfort in the wound, i.e. after about 10 days. You may restart sexual relations within a week or two, when the wound is healed. You should be able to return to a light job after about two weeks and any heavy job within four weeks. If you have an anaesthetic injection in the back, there is a very small chance of a blood clot forming on top of your spine which can cause a feeling of numbness or pins and needles in your legs. The clot usually dissolves on its own and this solves the problem. Extremely rarely, the injections can cause permanent damage to your spine. Complications are rare and seldom serious. Bruising and swelling may be troublesome, particularly if the hydrocele was large. The swelling may be as large as the hydrocele. The swelling may take four to six weeks to settle down. Close fitting Jockey-type underpants are often helpful. Infection is a rare problem and settles down with antibiotics in a week or two. Another very rare complication is infertility (the inability to make a woman pregnant). This happens because the structures that carry the sperm from the testes can be damaged during this operation. If fertility is still important for you, then you should discuss the possibility of this rare complication with your surgeon. The chances of the hydrocele coming back again is less than 1 in 20. Do leave yourself enough time to get over the operation. Practically all patients are back to their normal duties within one month. These notes should help you through your operation. They are a general guide. They do not cover everything. Also, all hospitals and surgeons vary a little. If you have any queries or problems, please ask the doctors or nurses.